Give yourself the gift of a condo. Be in before the holidays hit! Corner unit quiet location. 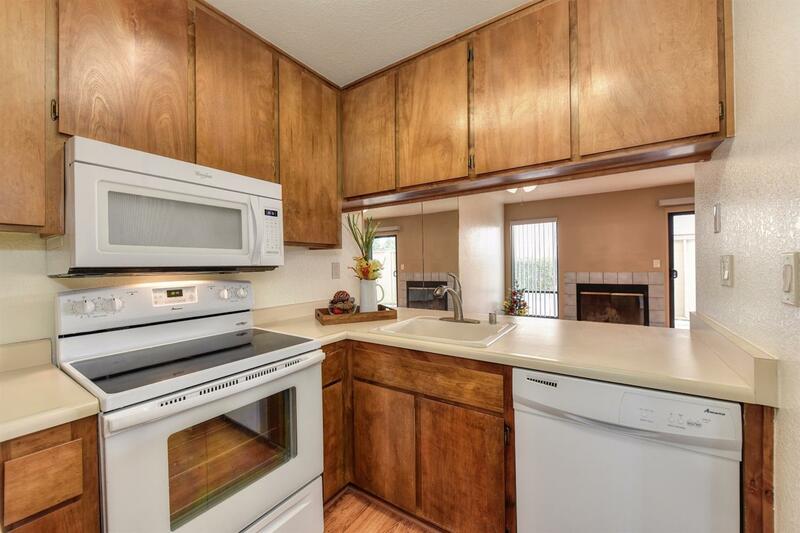 Updates include newly installed laminate flooring, newer kitchen appliances, updated light fixtures and ceiling fan, newer sliding glass door, and interior two tone paint. Lots of extra storage. Upstairs bedrooms with Jack and Jill master bath. Half-bath downstairs. Laundry area conveniently located upstairs. Over-sized one car garage. Building exterior recently painted. This one won't last long!